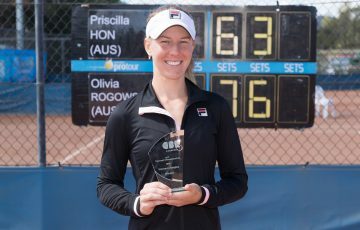 Maverick Banes comfortably won his two matches on a rain-affected Sunday to earn the Australian Pro Tour title in Toowoomba. 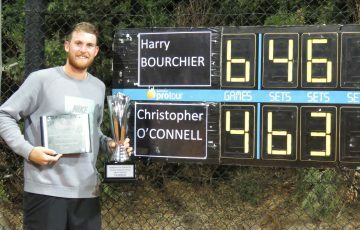 Maverick Banes has come through qualifying to take the Hutchinson Builders Toowoomba International title on Sunday. 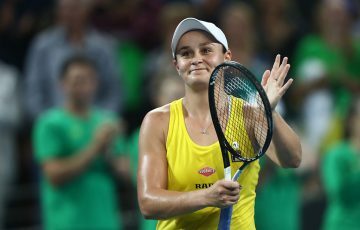 Aside from the weather – which severely hampered play throughout the tournament – it was a solid week for the 26-year-old Queenslander, who took advantage of a wildcard to qualify before assuming the position of top seed. 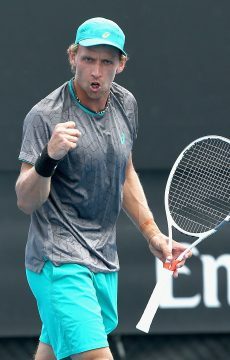 He was made to work early by youngsters Lucas Vuradin and Alexander Crnokrak before finding another gear and easing through his final two matches, defeating Victorian Matthew Romios 6-1 6-1 in the semifinal and Colin Sinclair (No.6) of the North Mariana Islands 6-4 6-2 in the final, both on Sunday. 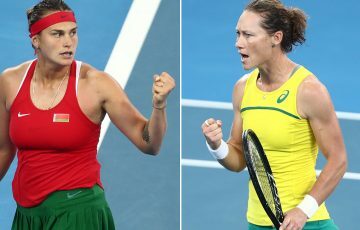 Banes was forced from the court on two occasions during the final when standing at match point. “It’s been a bit of a frustrating time the last couple of days with the rain, especially at the end there, one point away,” he said. “But I was just happy I was able to stay focused and get the win. 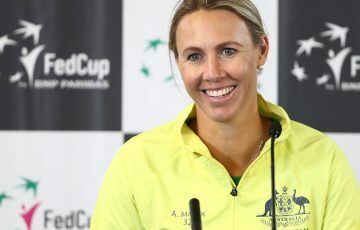 Banes, the world No.250, made a late decision to return home for some Australian Pro Tour events to build confidence after some mixed results on tour in recent times. 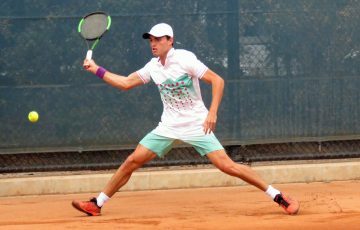 The win represents Banes’ third ITF Futures title in 2018 and his seventh overall, alongside his maiden ATP Challenger title in Gwangju earlier this year. 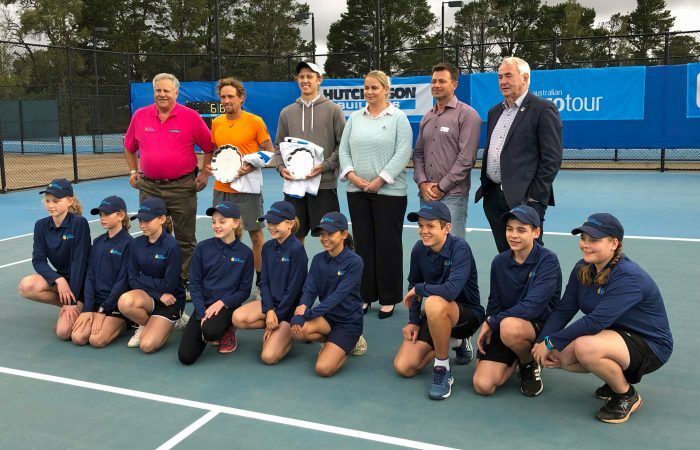 The doubles title in Toowoomba was taken out by second seeds Blake Ellis and Luke Saville who edged their way past the tournament’s No.1 pairing of Brit Brydan Klein and Scott Puodziunas, 6-4 6-7(2) [10-2].